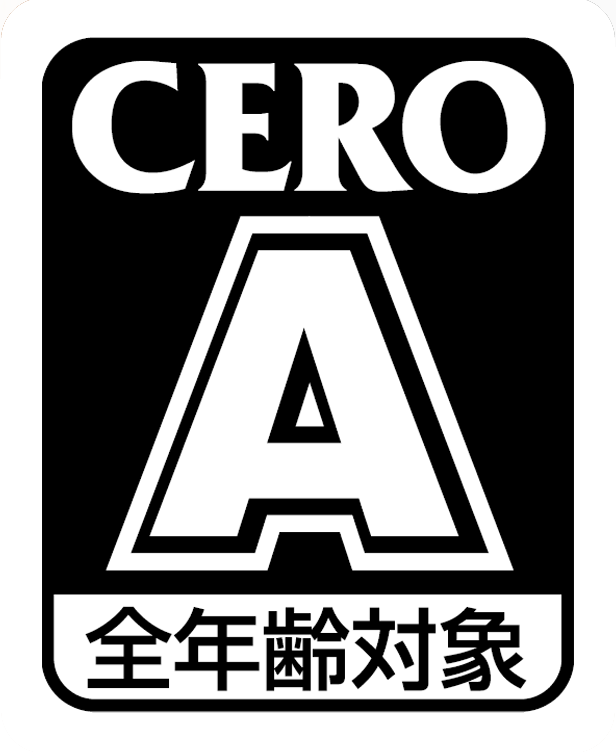 "For 30 picarats, can you tell if this game is as good as the first one? " 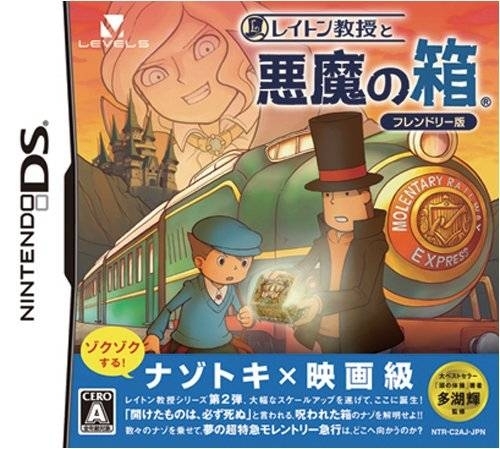 clue that begins their adventure: a train ticket for the Molentary Express. 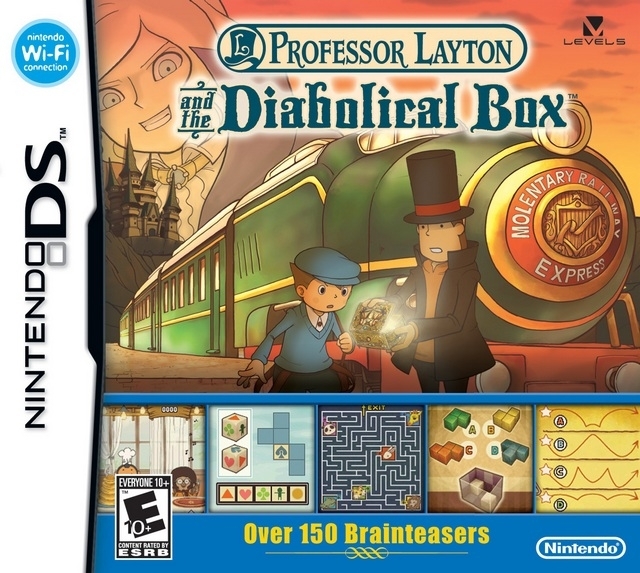 Professor Layton and the Diabolical Box features a riveting new mystery and more than 150 new brain teasers, riddles and logic puzzles to challenge and delight players. 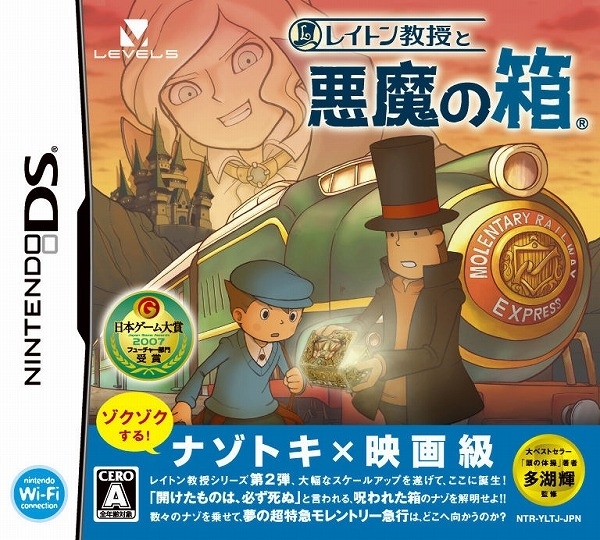 Beyond the puzzles found in the game, players with a broadband Internet connection who connect their Nintendo DS and Nintendo DSi systems to Nintendo Wi-Fi Connection will get access to downloadable bonus puzzles. A new puzzle will be available each week for 33 weeks after the game launches. The new game includes a significantly greater amount of voice work and animated movie scenes compared to the original. 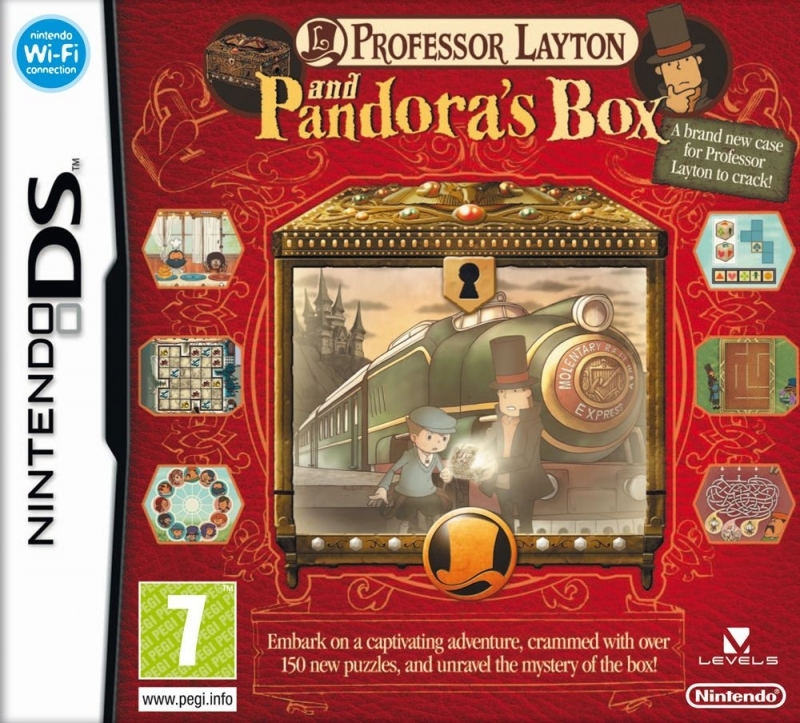 I've just finished the game, very sweet,the story is maybe a bit weird but I love the characters and atmosphere. 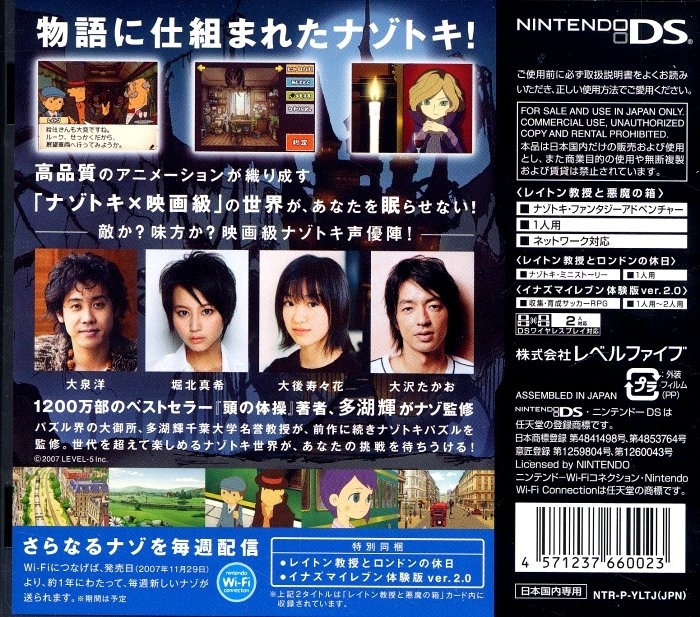 That kind of games is just perfect for the DS imo. Exactly what I'm looking for with a handeld. Saw some ads for this in America a few months ago. 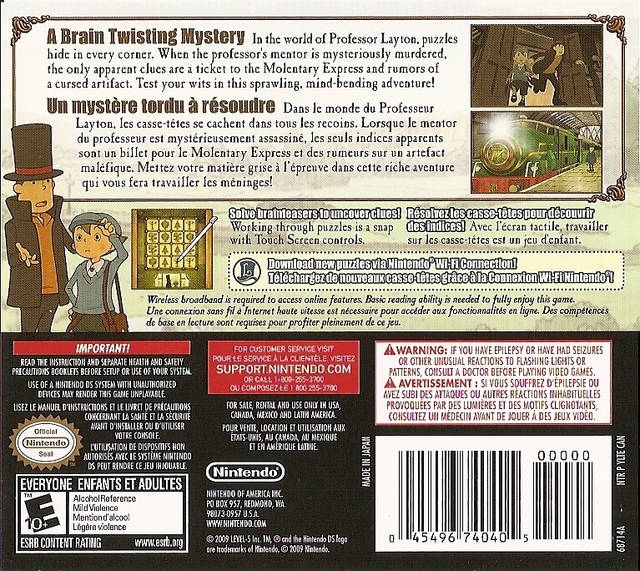 @Majin, It's because people know who Professor Layton is now and they like the games. :) I'm glad it took off in the U.S. though. 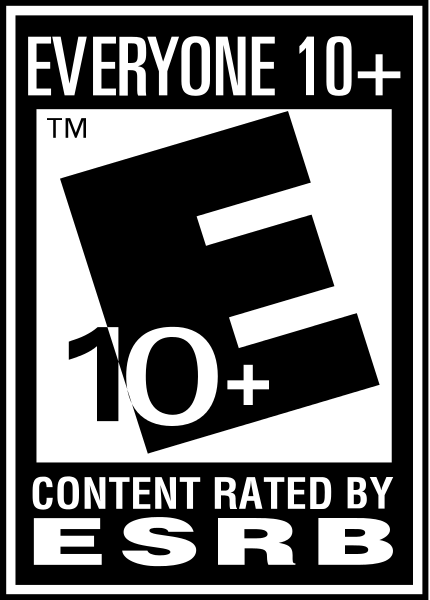 Too many games that should have taken off that seem to be ignored. It's tracking better than the previous one in both America and Others actually. 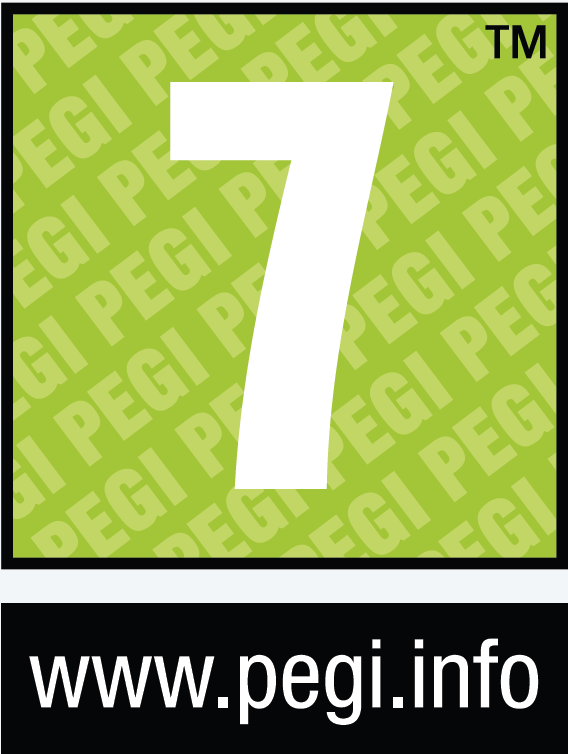 If legs can hold it up, it may well sell even better than the first one did!